Before we had kids, my husband and I went one Sunday a month and sang to the elderly at a local nursing home. My husband plays the guitar, and we would both sing familiar songs that they all knew. Two things stood out to me on our nursing home visits. First, I noticed that the elderly people loved stuffed animals. Secondly, many of them had handy walker bags or caddies attached to their walkers so that they could keep their important items handy. Today, I’m combining the two and sharing an easy DIY Walker Bag sewing tutorial (along with photos of a cute CloudPets™ Kitty). My mother-in-law recently had knee surgery, and she had to use a walker for a few weeks. I wish I had made this for her then because I think she really could have used it. 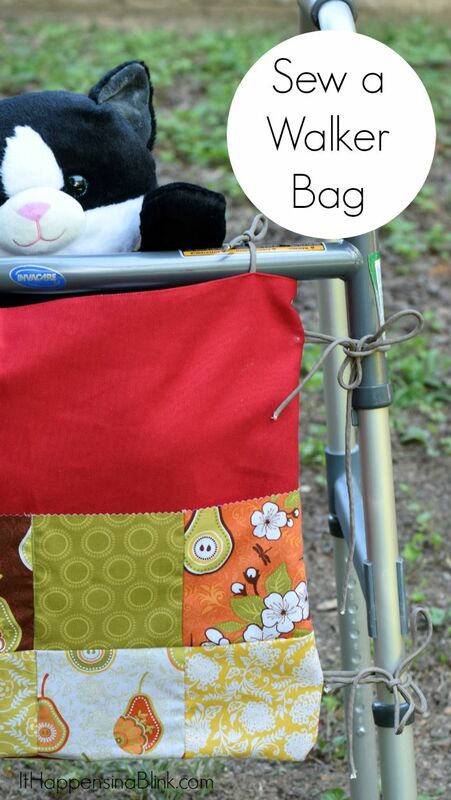 This specific walker bag is made to be a quick sew. It is made specifically to be deep in order to hold larger items, such as a stuffed animal, magazines, or a small blanket. If you are making it for someone with very arthritic fingers, then you will want to replace the paracord portions with velcro attachments. 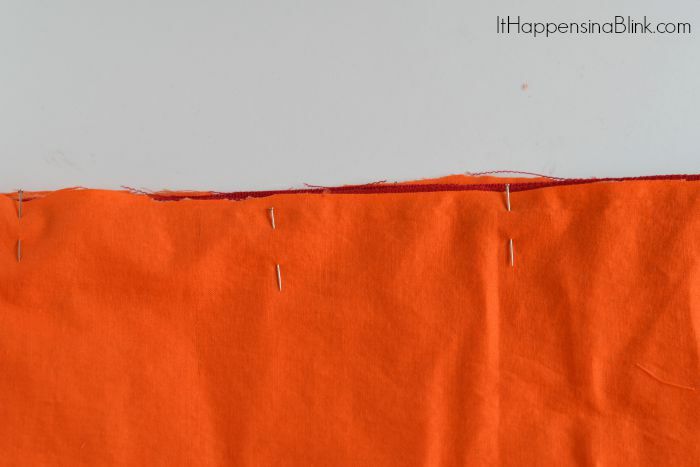 Begin by assembling the pockets for the front. 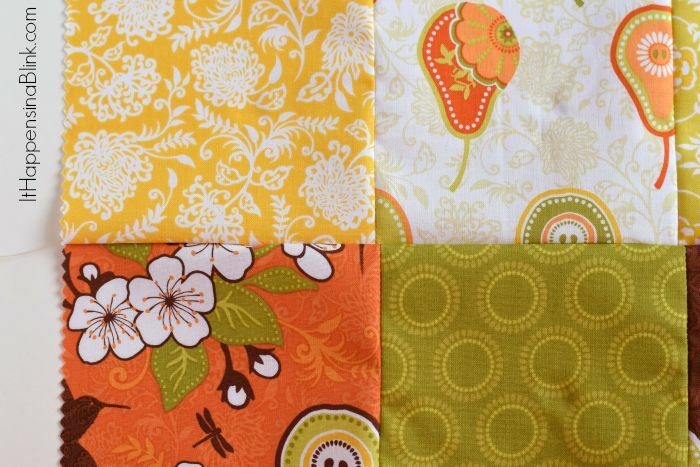 Lay charm pack blocks out on top of one of the canvas pieces, four blocks in each row. 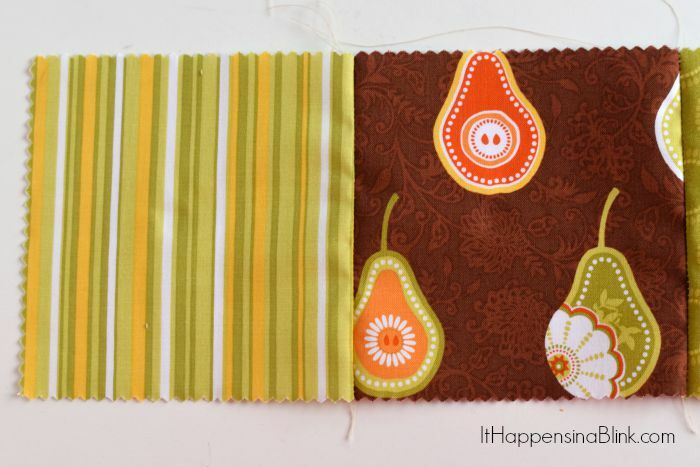 Lay them out in the arrangement that you want to sew them. Right sides together, sew one row of the charm blocks together. Sew the second row of charm blocks together. 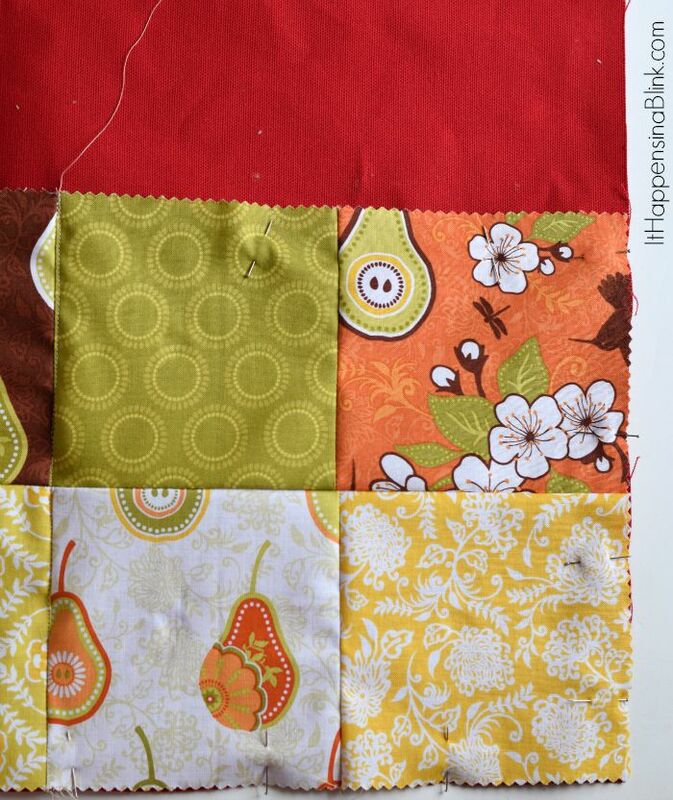 Then sew the top row and bottom row together. If possible, try to line up the seams in all of the blocks. I’m always terrible at this, but it will look better (and make the next step easier) if they are lined up. Pin the charm block piece to the front of one of the pieces of canvas. 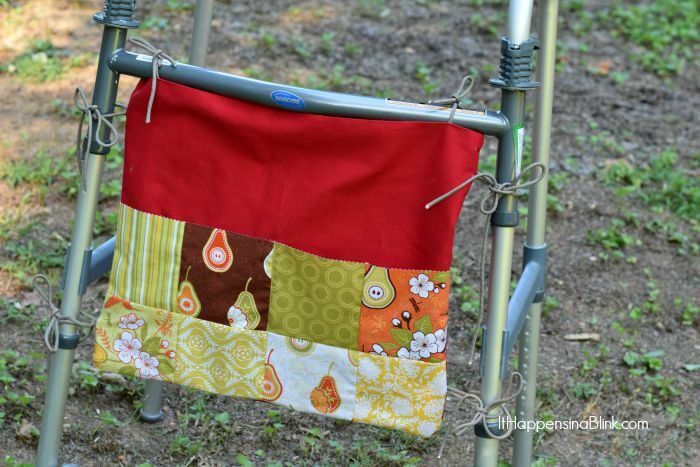 Sew the charm blocks to the canvas with a stitch through the center. Still using the front canvas piece, grab the 8″ paracord pieces. Pin two pieces 3″ from the top on both sides of the canvas. Pin two pieces 3″ from the bottom of both sides. 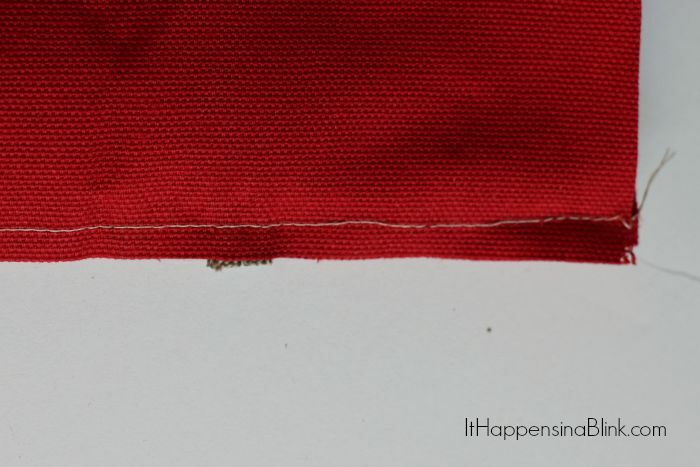 Be sure that the paracord ends are facing inside the canvas piece and not away from the canvas. Place the second canvas piece on top. Pin. 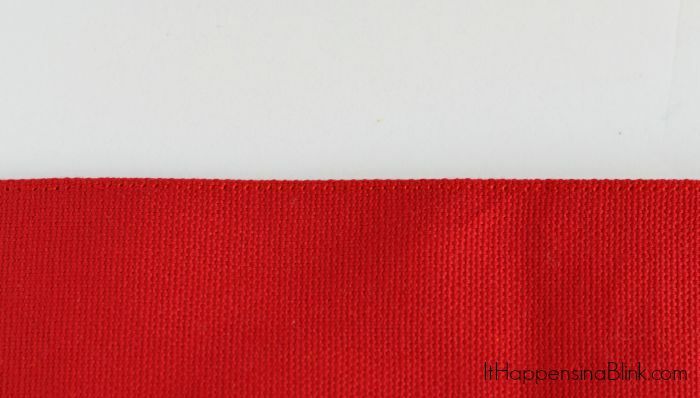 Sew around the two sides and the bottom using a 1/2″ seam allowance. Cut the ends of the paracord even with the fabric. Set aside. Pin the two lining pieces together. 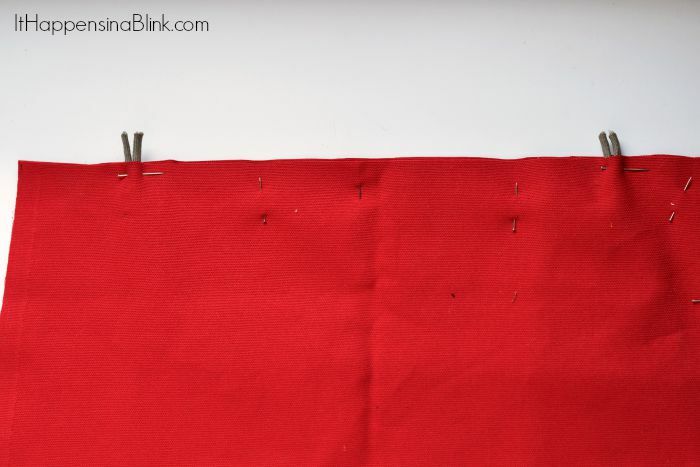 Sew around the sides and the bottom of the lining, leaving a 4″ opening in the bottom. This will be for turning the lining. 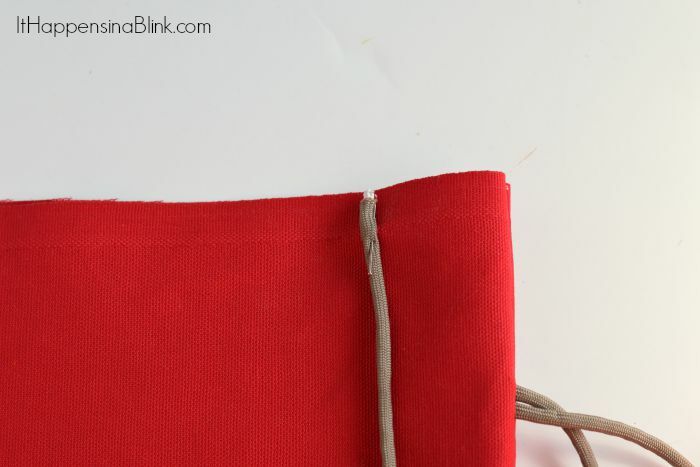 With the canvas bag right side out, pin a 6″ paracord piece two inches from the side on the top. Do this with the front canvas piece and the back. 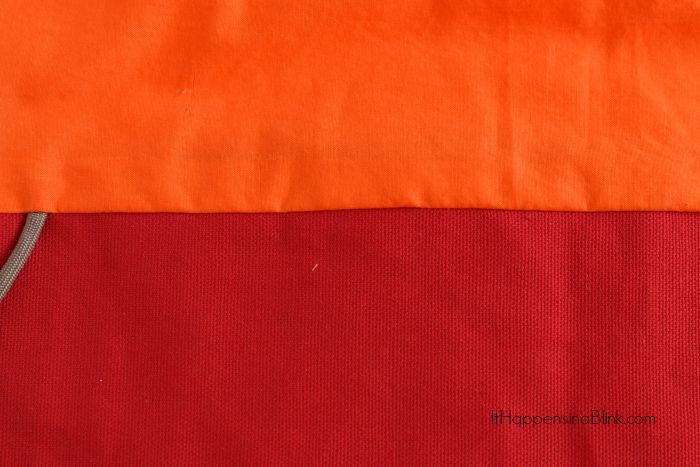 With the lining wrong side out, insert the canvas inside of the lining. Pin around the top. Sew all around the top of the bag. 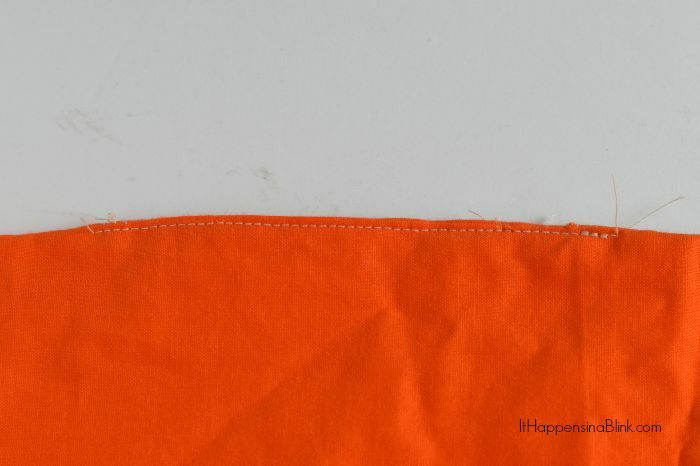 Using the hole at the bottom of the lining, pull the canvas bag out through the hole. 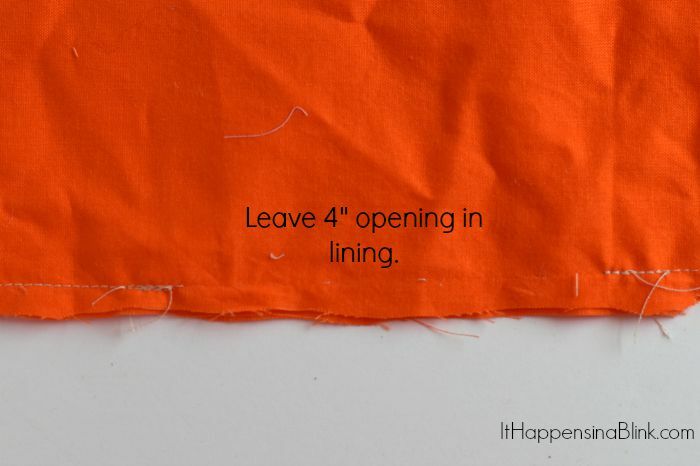 Sew a stitch across the hole in the lining. Push the lining down into the bag. Topstitch close to the edge on the outside of the canvas, catching the lining to secure. Use the ties to attach the bag to the walker. As I mentioned before, I’ve noticed that older people tend to like stuffed animals, too. There’s a new product on the market that older people who are still a little tech savvy may enjoy- CloudPets™. A grandparent can have the CloudPets™ animal, and all of their grandchildren can send them messages. This is an especially nice way for grandchildren who may live far away from their grandparents to keep in touch. For parents who are concerned about their children using the app, please know that there are parental controls for the product. The app is free. See a tour of how it all works. 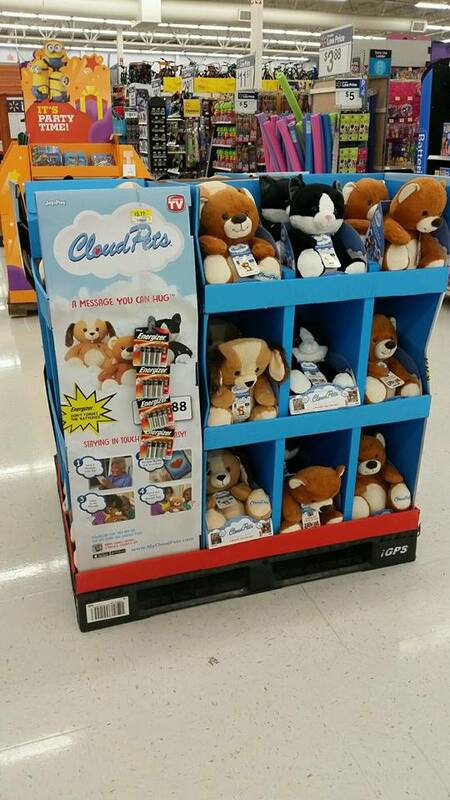 Walmart is carrying the CloudPets™ animals, including a Bear, Kitty (pictured here), Puppy, Bunny, and exclusive Unicorn. 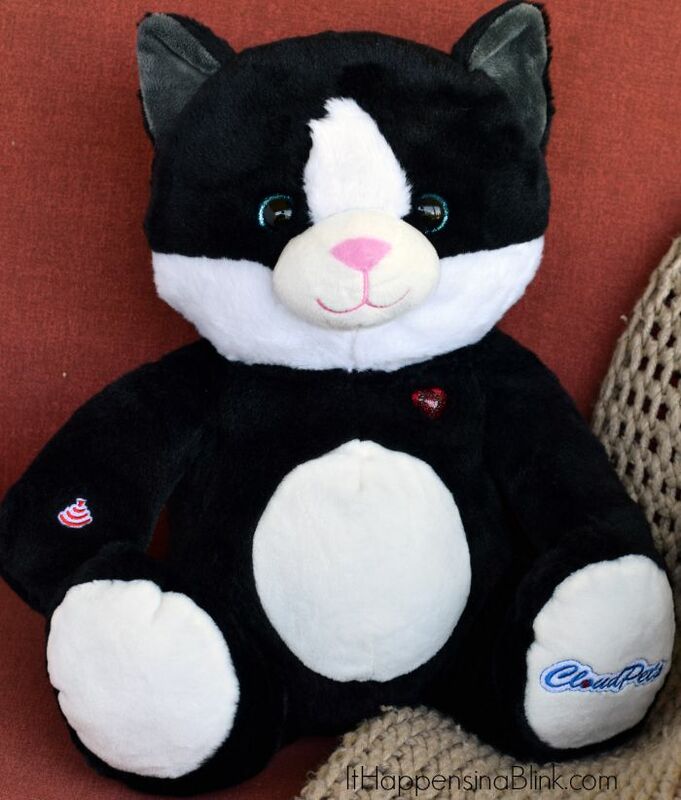 The CloudPets™ animal requires the use of 3 AAA batteries, also available in the display at Walmart. 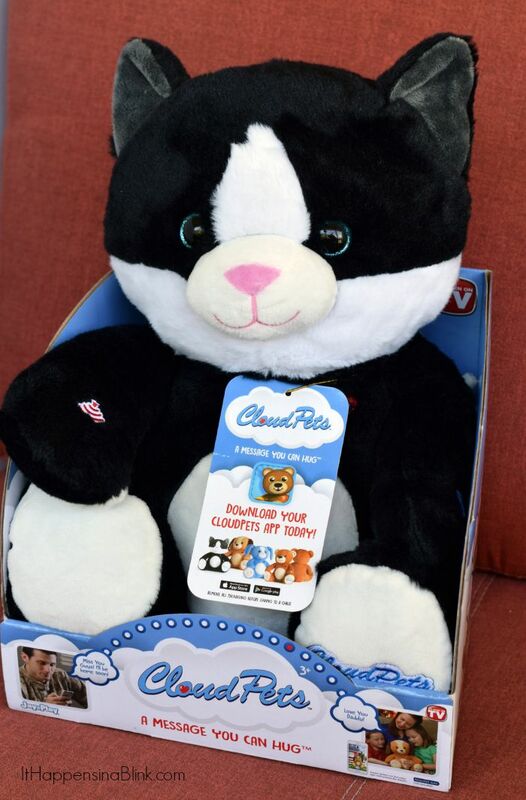 Who in your life would like a CloudPets™ animal? Do you have someone who would like a colorful walker bag? My daughter just got the puppy! It’s such a cool toy, and I love your idea of all the grandkids sending messages! Lovely idea! We take our kids, along with a variety of their artwork, to visit an assisted living facility and it’s so good for the residents and my children! This is such a fabulous and useful idea! I love it! Pinning. What a great tutorial. PINNED! These walker bags are such a great idea! They would be a great service project for a local nursing home! Great idea! 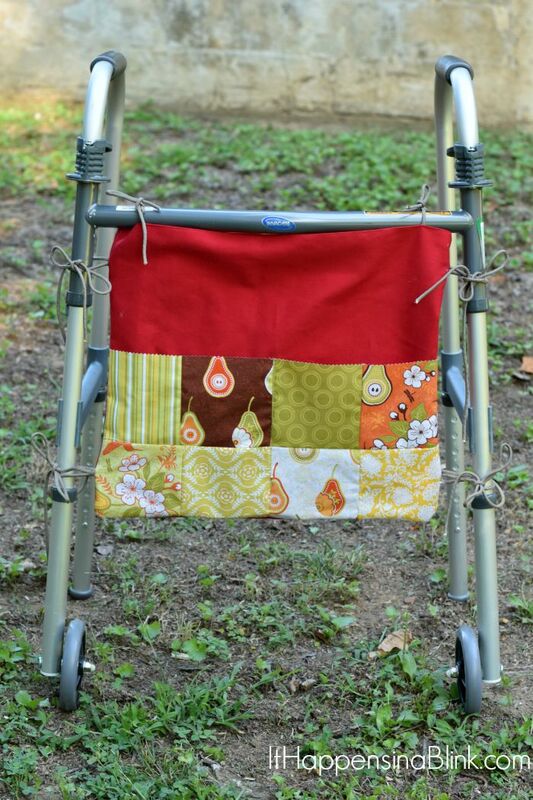 My mom made me something similar for my stroller. so helpful. 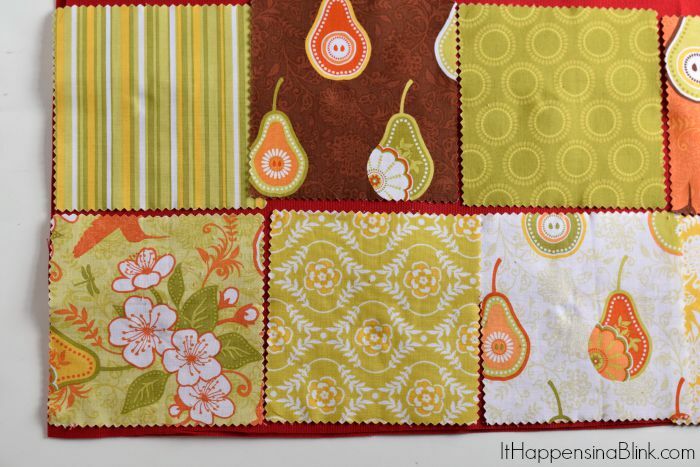 This is a wonderful project and I love that you’ve used seasonal fabrics. I like the idea of teaching young people how to quilt by making a bunch of these to donate to an elder center. This is awesome! What a great idea! My grandma could use one of these! This is so cute and wonderful for kids! I love the pattern you used too. I’m sure my nieces would love this. They like taking care of their stuffed animals and would have a great time with them. I’m not a great sewer, but I’ll give it a shot. My fiancé’s grandmother could really use that walker bag. She doesn’t get around to easily without her walker. Then his son could use the cloud pet to keep I n touch with her!! My kids want these pets! Great craft!